Alzheimer's, which starts out with loss of memory and problems with thought processing, becomes an especially debilitating disease as it progresses—it attacks parts of the brain that control walking, coordination and even swallowing. Mood swings, aggression, repetition, and volatile behaviour are typical as the disease takes hold, making life for patients, their families and caregivers difficult. "If we can slow down the progression of the disease, we can dramatically improve the quality of life for patients, as well as extend their lifespan. In advanced stages, Alzheimer's can affect the functioning of the whole body and eventually lead to death," says Stefan Weiss, lead researcher and Professor in the School of Molecular and Cell Biology in the Faculty of Science at Wits University. Until now, there has been no cure for treating Alzheimer's, which viciously attacks brain cells when proteins group together and deposit amyloid-beta plaque. But Professor Weiss and his team of researchers from Wits, including Dr. Eloise Ferreira, Dr. Monique Bignoux, Tyrone Otgaar, Nicolas Tagliatti, Katarina Jovanovic and (the late) Dr. Boitelo Letsolo have discovered an antibody that effectively targets the protein aggregation itself. "We conducted mouse studies which showed that the anti-LRP/LR specific antibody rescues cells from A-beta induced cytotoxicity and A-beta secretion. What this means is that the antibody significantly reduces amyloid plaque formation, a hallmark for Alzheimer's disease. This suggested that the antibody might delay the progression of Alzheimer's disease in mice:- it is the amyloid plaques which ravage brain cells. We administered the antibody nasally, twice a week for eight weeks. By effectively reducing amyloid plaque formation, we saw improvements in memory and cognitive functions in the mice." Their study, funded by the South African Medical Research Council, was initiated in 2015. It has taken three years to perform the study, analyse the results, and publish the paper. Now Weiss and his team are planning Phase 1 of the clinical trials with 30 to 50 volunteers suffering from Alzheimer's. The team expects to see similar results as with the mice, i.e., a significant improvement of memory and cognitive functions in the Alzheimer's disease patients. If the outcomes are as expected, the team hopes to get regulatory approval on the nasal spray containing the anti-LRP/LR specific antibody. The nasal spray could then be available to Alzheimer's patients in the near future. "We ideally need a pharmaceutical partner to be involved in this next study, to carry out further clinical trials and to subsequently commercialise the drug," says Anne Gabathuse, Innovation Support Manager at Wits Commercial Enterprise (Pty) Ltd. (Wits Enterprise), which is assisting Weiss in further development and commercial negotiations. Wits Enterprise's Innovation Support is mandated by Wits to manage and commercialise intellectual property that emanates from research at the university. Through the development of products, processes and services with social and economic impact, Innovation Support has worked with Weiss and his team to file for patent protection for the antibody. Weiss is very hopeful about the clinical trial on Alzheimer's patients and about the new hope that the antibody treatment may bring: "Alzheimer's patients have had no way of tackling their disease, aside from medicines to reduce pain and discomfort. With the anti-LRP/LR specific antibody, there is the potential to actually target the protein clumping and stop the formation of amyloid plaque. "Although we have not conducted any study into the potential of the antibody as a prophylactic drug for preventing Alzheimer's, it is certainly a possibility. For now, our focus is to have the antibody administered as a therapeutic for Alzheimer's disease patients." Gabathuse says: "This discovery is indeed a giant leap forward in the treatment of Alzheimer's disease and we are very excited about the recent results obtained from the mouse studies. We are looking forward to the next stage of the project, which is to investigate whether the compound will be as effective in humans as it has been in the mice." 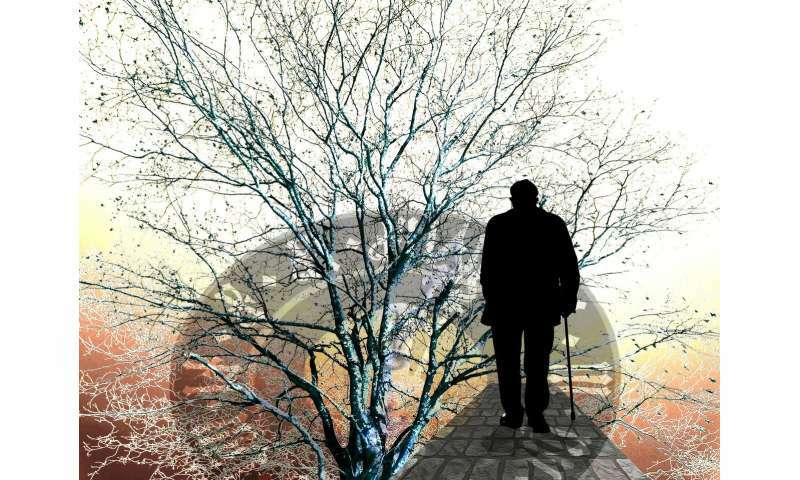 "The number of people living with symptoms of Alzheimer's disease globally is estimated at 35 million with the lives of millions of others—such as their families, colleagues and caregivers—indirectly affected. It is clear to see what the far-reaching, positive impact of the antibody could be for society."